We found our flights through Momondo, booked through Travel Trolley. They were well within our budget and easy enough to book. 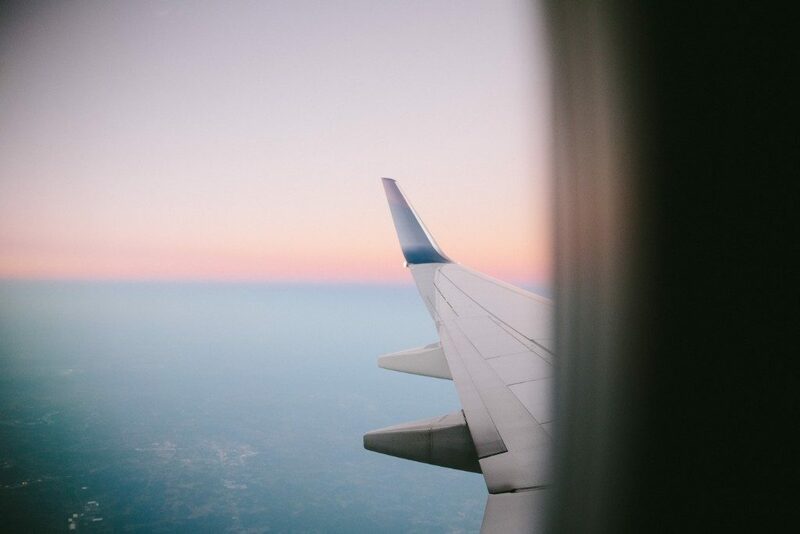 We hit road bumps when it came to booking our seats a month before our flight; whether it was a glitch in the system or a problem they need to look further into I don’t know, but the site wouldn’t let us log on to choose our own seats. We were able to contact customer services, however, and they soon got back to us with designated seat numbers so we didn’t need to worry about being seated apart… The fact we weren’t able to choose our own seats was a bit disappointing but having that peace of mind and we can’t fault the customer service. We were boarded pretty quickly. On our seats waiting for us was a pillow, large blanket and headphones; something you don’t normally receive for free on long-haul flights (unless you’re in 1st or business). All the staff were really nice, despite some not speaking great English. Once we were in the air all the lights were dimmed to help get us used to the new time zone we’ll be landing in and we were left to enjoy the onboard entertainment; loads of new films were available as well as a handful of TV shows. Overall the flight was smooth and the flight attendants were around with drinks frequently. For every meal on each flight, there was a choice between two types of meat with either rice or potato (their website says vegetarian meals need to be ordered in advance via the website). No complaints about the food, it was far better than we were expecting and much nicer than we’ve had with other airlines. As we got closer to Australia our final meal was a traditional Chinese breakfast selection, which made a nice change from rice. Hotel – When we arrived in China for our layover, we were really impressed with the extras they offered. We had talked about maybe getting a hotel so we had somewhere safe to leave our stuff but it turned out we didn’t need to worry; we gave one for free by China Southern! Not only that, but we were able to pick one from a variety of hotels around the city. Transport – Once our hotel was chosen, the airport offered to arrange to drop off and collection to get us back for our flight that evening. Our hotel was easy to get to on the Metro so instead, they gave us a 24-hour free metro card that enabled us to get all around the city for the entire length of the layover. We were also given a map of the Metro with some places of interest highlighted. 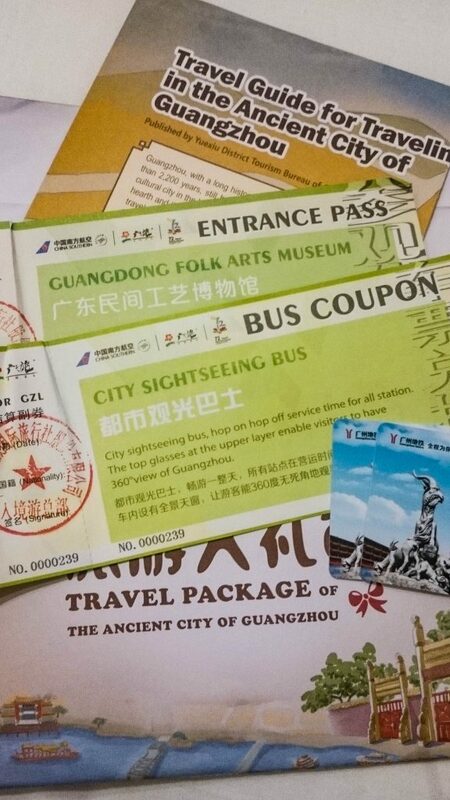 Entertainment – There was a group tour available from the airport that would show us the sights our Guangzhou. We wanted to drop our bags off at the hotel first so we opted to see the city on our own; surprisingly because of this the airlines gave us tickets to the places the tour would be going… again, for free… so that we ‘didn’t miss out’. They weren’t places we were really interested in going, wanting to see less touristy things and more natural city life, but the fact it was offered was really nice. Food – The tour also included free lunch, so because we were opting out of the tour the Airlines gave us a free meal voucher to the same. Again, not something we were interested in, but also not something we were expecting either. Another nice touch from China Southern. Overall we’re pleased we chose to fly with China Southern. Even without all the little extras, it was a great company to fly with and the staff were fantastic; helpful when we needed it, let us be when we were trying to sleep. We would definitely recommend them for your next long-haul flight. 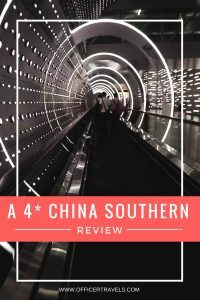 We hope our Review of China Southern was helpful, a lot of budget airlines get bad press but this one definitely deserves the praise! note: This post is my own thoughts and opinions. This post is in no way affiliated with China Southern Airlines. I have not been paid to write this post. FRASER ISLAND self drive tour – How to see the Island WITHOUT a group tour.